Over the last few years I have written a number of articles. Some try simply to convey information that is useful to martial training. The article "Fajin" talks about how to generate powerful movement from the ground up to the fist. "8 uses for reeling silk" discusses different uses for the martial method of twisting your limbs as you move. 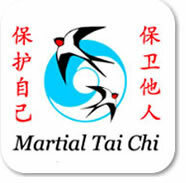 Other articles, such as "T'ime to Get T'ough" or "The trouble with qi" are more polemic and address important issues within the Tai Chi and more general martial arts community. I don't pull any punches in these articles, because I feel that the only way to restore Tai Chi as a practical and effective fighting art is to first destroy almost everything that the words have become associated with over the last few decades. No stone should remain unturned in the total eradication of commercial new-age embellishment and, equally commercial, outdated myth and superstition. Charlatanism, exploitation and immorality must be removed if the martial arts are to move forwards. While we would hesitate to unequivocally recommend most books written about Tai Chi or other Chinese Martial Arts, here is a selection of titles we feel have something to offer. In our view this book is simply invaluable. It is a brave and bold myth-busting work that draws from the works of other myth-busters such as the great Chinese martial arts historian Tang Hao, who did so much work from the 1920's to the 1950's to dispell fictional, though still widely believed, notions about the significance of the Shaolin monastery and the Wudang temples. Important Note: We've heard that this important book has gone out of print, so we strongly recommend you buy a second-hand copy from Amazon while you can. This is a great book and is a must for any martial artist's shelf. From the cover: "The Sword Polisher's Record, originally a monthly column that appeared for fifteen years in three maganzines, became a way of polishing the kung-fu sword, clearing up the misconceptions that are causing it to become dull and rusty." Bob is a practitioner of a style of Silat Kuntao that blends Indonesian, Filipino and Chinese arts (as they are practiced in Indonesia). He makes a very compelling argument for the removal of unnecessary cultural baggage from martial arts. This is an inspiring work. See also my review of Bob&apos;s DVD "The Fighting Forms of Kuntao-Silat". "Books for Healthier Life" by Dr. Jolie Bookspan. A selection of practical and useful books for any martial artist with lots of tips for effective and safe physical developmental training. Of particular interest should be "Healthy Martial Arts" and "Stretching Smarter Stretching Healthier". Bookspan has a background in anatomy, physiology and sports medicine as well as martial arts so her exercises will preserve rather than destroy your body. Hong Junsheng is a real inspiration. As well as rejecting any kind of title in his life (such as Master) he also refuted the concept of qi. He says "When dealing with ancient writings we should do away with its dregs. We must selectively accept and reject." We should also "only accept what is useful" and "adopt a scientific attitude." Hong firmly advocated taking a hands-on, practical approach to Tai Chi, and for that he must be applauded. OK, so what is this book doing in our recommended reading section? Well the truth is that having spent quite a lot of years in martial arts circles, particularly within the field so often referred to as "internal" styles, we have spent an unfortunate amount of time rubbing shoulders with new-agers, charlatans and self-appointed mystics. This book reveals something, we think, about how charlatans think and operate. Read it and see.